This is a Stoltz brand Polyurethane 3.5 inch Bow Roller. This Bow Roller is designed specifically for boat trailer use, to be mounted towards the front of your trailer, on the winch stand or post, to protect the bow of the boat as you load or unload. These Bow rollers fit with 1/2 inch Trailer Bolts. 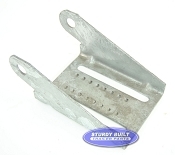 Simply pick the correct length, we have them in stainless steel and zinc plated. Stoltz Products are simply the best option for rollers and stops for your boat trailer. Extremely UV resistant elements prevent this roller from fading and cracking like other rubber rollers or cheaper versions of poly rollers. This is a very tough contact point on a boat so having the best quality product is essential. 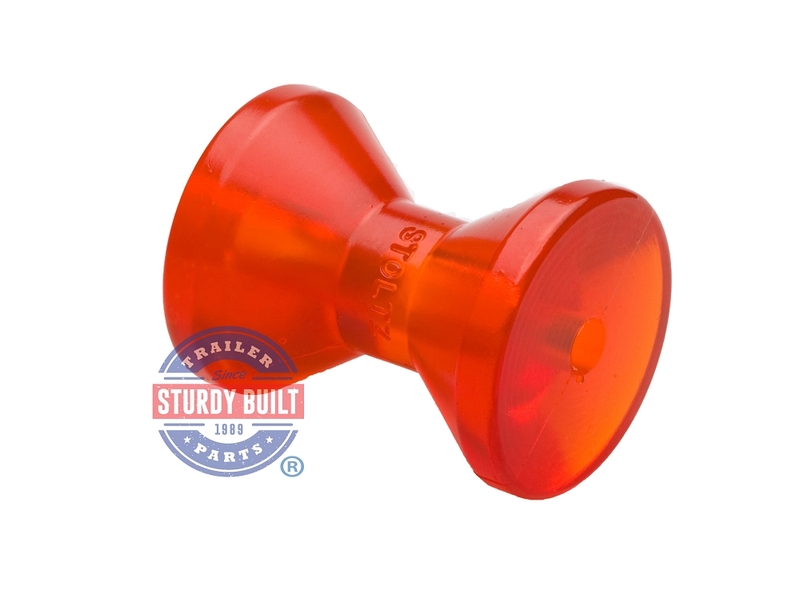 Try out a quality Stoltz 3.5 inch Bow Roller! Direct replacement for Shoreland'r Jet Boat Trailers!